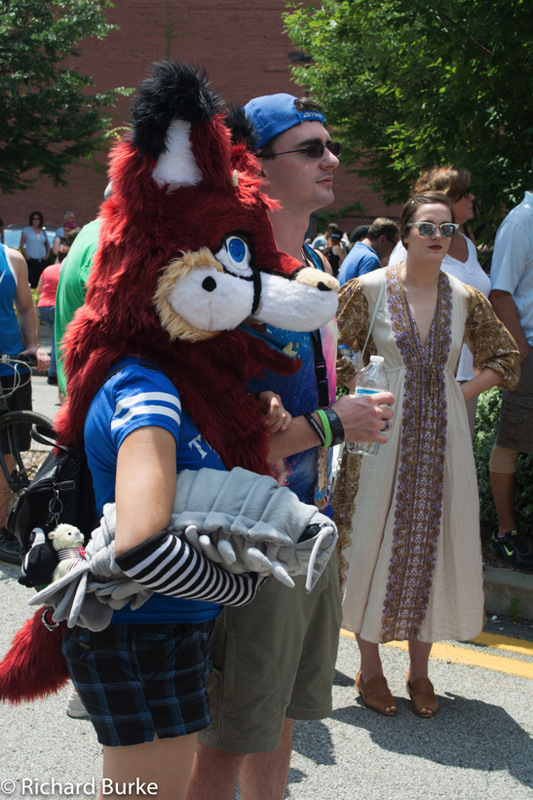 The reason I liked Anthrocon (#anthrocon, #furries) so much is that all the people in the parade last Saturday wanted to have their picture taken. The Furries have found a way to express themselves and express their inner soul in a non threatening and colorful way. They want you to “see” them and photograph them. If you follow this blog you know that last December we returned back to Pittsburgh which we left in 1978 to find fame and fortune. Some things remain the same but Pittsburgh has changed a lot. Anthrocon (#anthrocon, #furries) is one thing that didn’t even exist when we left. 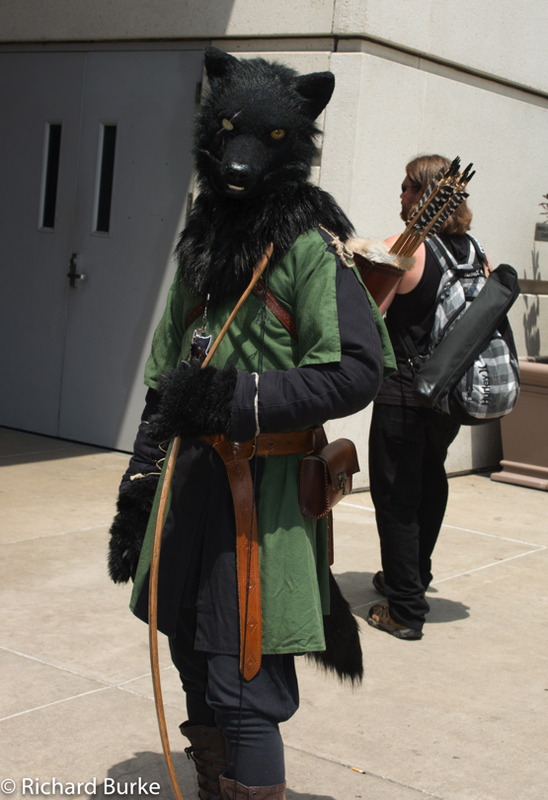 It is a convention of people who like to dress in costume and fur suits of their favorite or original characters. 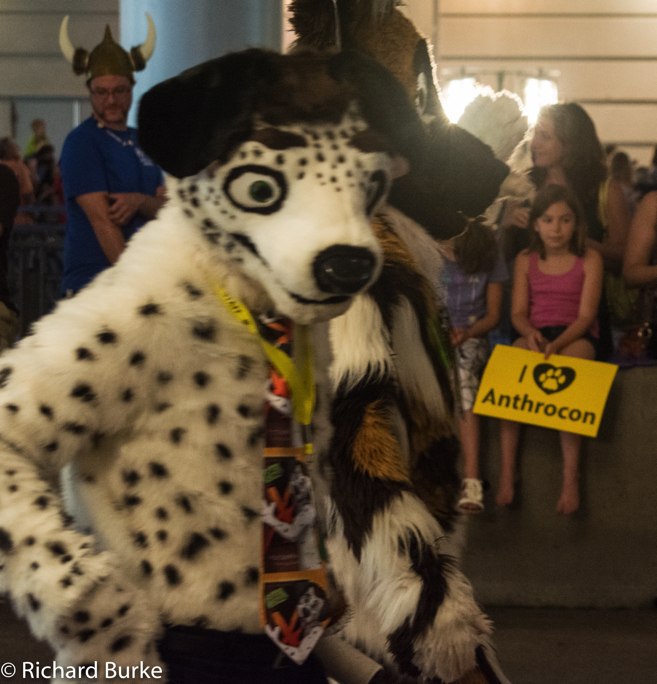 Anthrocon was founded in 1998 with about 500 people. The convention was in Philadelphia but moved to Pittsburgh in 2006 in search of a larger hotel and venue. The first convention in Pittsburgh attracted over 2400 people and has continued to grow each year and brings millions to the Pittsburgh ecocomny. This year was the first year that the Fursuit Parade of over 1000 characters was in public and Pittsburghers came out in the thousands to show their support and cheer The Furries as they paraded around the convention center. I have just begun to look through all the images I took of these colorful characters but this should give you the general idea. Hope everybody has a great holiday today. Happy Birthday USA! Buy a print of this image by clicking here. Hope everybody has a great holiday today. Happy Birthday USA! Buy a print of tho image by clicking here. Earlier this week I published a post entitled “One for The Ladies”. It received a lot of likes and views. A former student and Facebook friend accused me of holding out in jest but it made me look through some recent files for another similar sort of image. 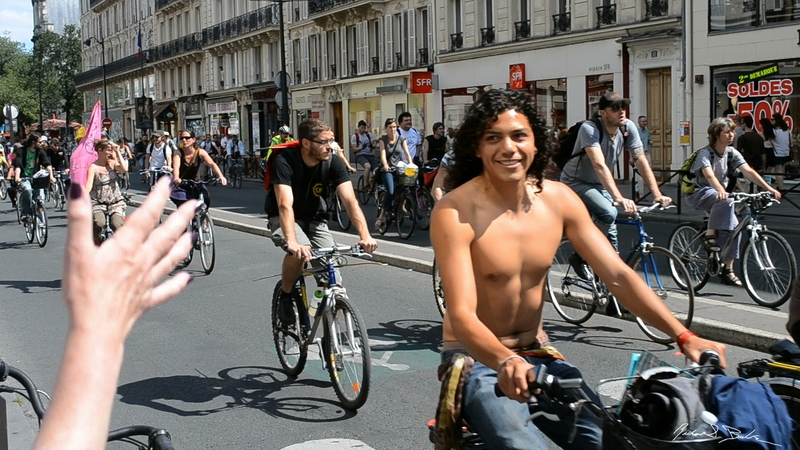 So here is one from a bicycle parade in Paris a couple of years ago. What a smile he gave to Hinda! You can buy a print of this one and see others on my commercial gallery. There is no place in the United States that knows how to celebrate American holidays better than New England. Since I have family there, I always spend Thanksgiving there and sometimes the 4th of July as well. A few years ago I went with my family to the Sudbury Massachusetts Independence Day parade. Sure other towns also have great parades but do they have Minutemen? You can buy a print of this image on my commercial site by clicking here.